Zee Kay, a singer, songwriter and performer, first started singing at the age of 9. British born of eastern descent - his early musical influences were a diverse mix of quawali sounds (such as the legend Nusrat Fatah Ali khan) and Middle Eastern vocals. From practicing on his first karaoke machine whilst still at school - Zee Kay went on to be classically trained at college, performing at local events and winning prestigious competitions. His vocal techniques, built on his early influences evolved to incorporate US rhythm and blues, inspired by artists such as Boys II Men and Babyface. At the pivotal age of 19, despite pressures from his family to follow a more conventional career path, Zee Kay decided to put his Economics degree on hold to pursue his dream of becoming a recording artist. 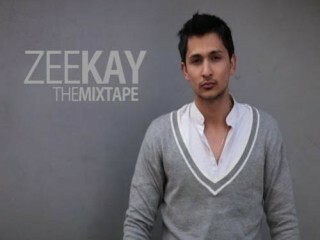 Zee Kay started his career in 2007 by writing the hit song "Baby" for US Superstar Ginuwine featuring Bollywood Actress Neha Dhupia which hit the UK charts at number 7 in 2008. Shortly after Zee Kay released his first single "My Moment" which became an overnight success with just over a million hits on youtube and reaching 3rd place on the Myspace charts. Zeekay has worked with producers spanning various genres in his drive to find his ideal musical platform. Now at the age of 20, Zeekay is closely working with Mr. Skillz (the creator of big brova'z and producer for Lemar, Jamelia and others under Shalit Global), developing his own unique sound and molding his persona to create a brand to launch on the mainstream market.